Several days ago there was a thread on Twitter with an incomplete drawing of, I want to say a horse; asking people to share TV shows that had strong seasons and faded into oblivion. The usual suspect shows were on that thread. I was tempted to add The Good Doctor, but I couldn’t find the courage to do it especially since this is just season two. Why on this supposed review of the Aftermath am I saying this? Well, I am drifting from the show every week. I will admit that I liked the Aftermath and totally disliked Quarantine 1 and 2. For a winter finale with a cliff hanger, I didn't care about what would happen to Dr. Lim when the show returned after the hiatus. Rehashing those two episodes doesn't make any sense so we will dive into the mechanics of the Aftermath instead. Aftermath is set up as "a look into" the trauma that our favorite residents and their mentors were going through after the events of the Quarantine. I didn’t buy it, but I don’t know about you. I fully understand that dealing with trauma is a personal process, so the show pushing everyone else into each other’s space and expecting viewers to connect with those emotions was baffling. Let’s start with Melendez and Lim who had previously slept together the night before. 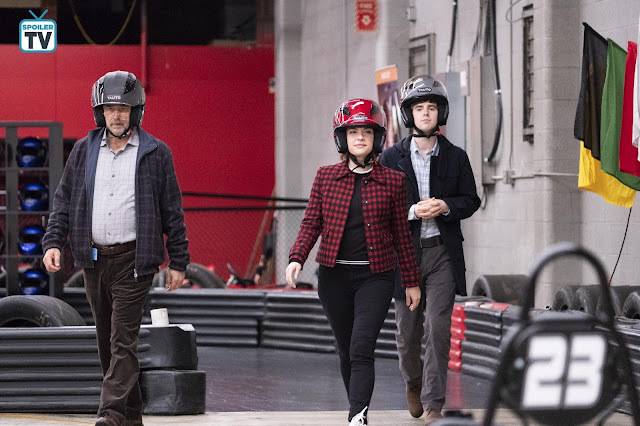 This show doesn't focus too much on romantic relationships, so Lim confessing she always had feelings for Melendez came a bit from left field. The show has done nothing to give us the impression that the two doctors were gravitating towards each other, but it could be that I didn’t see it because I was blinded by the sparks between Melendez and Browne since season one. Also, how Lim survived the virus was a bit underwhelming especially after the tormenting the audience with three deaths in one episode. 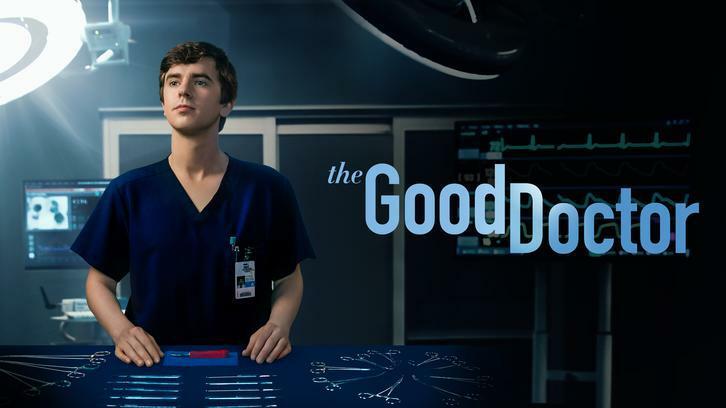 Imagine, auditioning and booking an episode of The Good Doctor to get killed off? Anyway, moving on I am not sure what the next chapter will be for Melendez and Lim and if the writers will indeed commit to this storyline. I want to give this a chance, but if it’s going to progress the same way they built it up then, I don’t know friends! In the episode “Stories” there was a little hint that we would be getting a look into Park’s life after he made reference to his past life when talking to a patient. Well, we met his son in Quarantine which was used to kind of bring the two together. The end of Quarantine 2 we met his ex-wife in a scene that was a bit of a stretch but, whatever. Since they were hanging out in the Aftermath, we were treated to an information overload of what their married life was in the past. One of the scenes where Park announces he wants her back or loves her, I don’t quite remember the exact words had me rolling my eyes. Considering they are going to try and work things out, my guess is we will see more of his ex-wife. 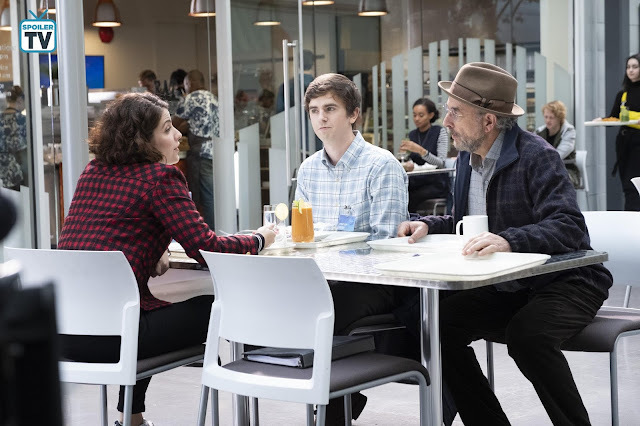 For a show that has consistently given Highmore and Schiff good material to work with, Aftermath was a softball for them. Glassman has been going through trauma since his brain surgery, and Murphy's life in itself is a daily dose of the aftermath. It was interesting how they hinted that Murphy more than likes Lea. This was nothing new because it was clear from season one and as much as I am not a fan of a relationship between the two, it is bound to happen. Now that Lea seems to have a boyfriend a love triangle might ensue. Schiff and Highmore work well together, and whenever they are scene partners, it is incredible. A favorite part of this episode was the go-kart driving at YAUTO. 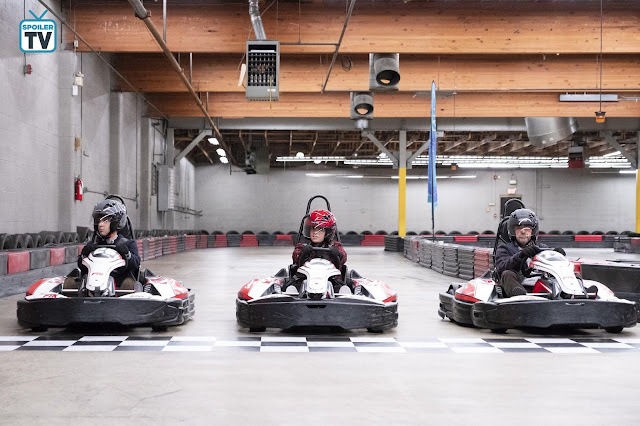 The emotions on their faces as the karts moved around the track was a look into their spinning worlds. The focus on Glassman’s eyes gave a stunning visual of the emotional toll cancer was having on him. Reznick and Browne ended up hanging out together the whole time. I liked that the two were paired outside the hospital. Their interaction was warm and friendly. Reznick standing up for Browne’s mother was necessary for their relationship going forward. There is a bit of trust that was fostered even though Reznick can be terse and abrasive in her approach, she knows how timid Claire can be and understands when to show up for her. My wish is to see Resnick’s hard heart opened up some more in the future. We saw a little bit of vulnerability when the paramedic that liked her died, but she shut herself off again. If the Aftermath is to be believed how Reznick handled her day off was the only explicit exploration of how some people deal with trauma. Does anyone think Andrews is going to be forced to go back as chief of surgery and drop his role as president? I don’t see how he can do both especially with the investigation from the medical board that’s going to ensure. They did set up what will be coming up in the future episodes; Melendez, Lim and Murphy’s licenses on the line. If I were required to give one, I don’t know what my score would be for this episode. It had its moments, but it was a filler that could have been better. What did you all think of the episode?